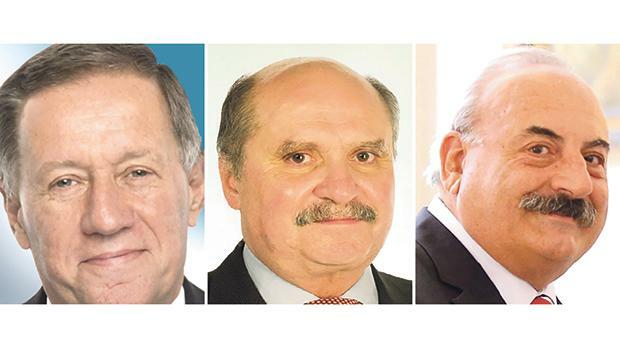 IoD 08:59 Club event on March 13 at EY Malta will be led and moderated by IoD international trainer Jean Pousson and a panel consisting of HSBC chairman Sonny Portelli and APS Bank chairman Frederick Mifsud Bonnici. Board evaluations are widely accepted as part of good governance and on March 13 the Institute of Directors Malta Branch (IoD) will be running another in the successful 08:59 Club series, this time on ‘Board Evaluation’ with IoD UK international trainer Jean Pousson together with a distinguished panel comprising HSBC chairman Sonny Portelli and APS Bank chairman Frederick Mifsud Bonnici. Board evaluations offer all parties the opportunity to streamline the governance practices that occur at board level. The evaluation process allows boards to measure and adjust their composition and strategy. Commitment to the board evaluation process is a by-product of a healthy board culture, one that balances collegiality with the willingness to challenge the viewpoints of management or fellow directors. Mr Pousson typically interfaces with about 600 to 800 directors in any one year on training courses for the IoD and other private clients. He also conducts anything from five to eight board assignments each year in areas of strategy and/or board reviews. His company, Board Evaluation Limited (www.board-evaluation.co.uk), has to date conducted well over 50 board reviews across a variety of sectors. He has worked with organisations such as ACAS, Ministry of Defence, Standard Life, Serco, Lloyds Banking Group, Pizza Express, Fujitsu Siemens, Callaway Golf and Greene King plc. In addition, he works with numerous small- to medium-sized businesses across a wide variety of industries. Jean also does a number of one-to-one coaching sessions with executives. Mr Portelli is non-executive chairman for HSBC Bank Malta plc. and also on the board of BMIT Technologies plc. He previously held the position of chairman at Air Malta plc, chairman of GO plc and chairman at the Malta Council for Economic and Social Development. He began his career with the Malta Civil Service. He left the service in the late 1970s to join the tourism industry and successfully held a number of senior management appointments in the sector. He is a marketing specialist and for many years was a member of the senior management team of one of Malta’s leading group of companies. Mr Mifsud Bonnici, CPA, was a senior audit partner of PriceWaterhouseCoopers in Malta until retirement and currently serves as chairman of APS Bank. He serves as non-executive chairman of Blevins Franks Trustees Limited and Blevins Franks Gamma Limited. Previously, Mr Mifsud Bonnici served as the chairman of Valletta Fund Management Limited and also as chairman and director of Bank of Valletta plc and chairman of MSV Life plc. He is a former chairman of the Malta Stock Exchange. This third IoD 08:59 Club event will be held at EY Malta and will start at 7.30am for breakfast, ending no later than 9am to allow busy directors and entrepreneurs to get to the office full of new information that can have a dramatic effect on the strategic performance of their business.